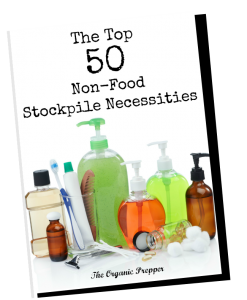 This book is very research heavy, with the latest in-depth information about the contaminants lurking in our water supplies and water-borne illnesses, as well as tips for conservation and sanitation during times when your lifestyle is decidedly off-grid. I hope you enjoy this excerpt from the book. If a disaster has hit and you’re still breathing, then your next concern has got to be water. Have you ever watched any of those survival shows on the Discovery Channel where people are dropped off in the middle of nowhere and left to survive with limited tools and supplies? In nearly every single episode, the biggest issue is finding and purifying water. Often, they wait so long that they become desperate and engage in risky behavior, like drinking water from a stagnant pool. In one particularly notable episode, the contestants had to be rescued because they became too weak from dehydration to seek water. Your car broke down when you were driving through the desert and you had to wait or walk for help? Without water you could dehydrate very quickly in hot temperatures. You forgot or didn’t have the money to pay the water bill and your utilities were cut off for a week? Your community was under a water restriction due to contamination of the water supply? The power went out and your home was on well water, thus halting your running water until the electricity was restored? You were out hiking and got lost, then were forced to spend a few nights in the woods with only the supplies in your daypack? As you can see, those random occurrences that happen out of the blue can strike anyone at any time. It’s easy to say, “Oh, I’ll just go to the store and grab a few bottles,” but when everyone else in your area has the same idea, it doesn’t take long for the shelves to clear, potentially leaving you and your family without water. The run on bottled water caused near panic at some stores throughout the Boston area Saturday night. At the BJ’s in Revere, the crowd got so big and the rush for water so intense that police were called in. In order to maintain control of an unruly crowd, the store was shut down for the night. Shortly after residents in Boston received an emergency call warning them of the water crisis, supermarket aisles stocked with water were quickly wiped out. In Coolidge Corner in Brookline, long lines formed at Trader Joe’s, CVS, and Walgreens for any kind of bottled water, including sparkling and pricey designer bottles. The Governor of Massachusetts was able to lift the boil order a mere three days later, but during that short span, the National Guard was dispatched to deliver water, businesses were called upon to increase the water inventory brought to the local stores, and many restaurants were forced to close their doors due to the lack of safe drinking water. Even if you are able to jostle your way to the front of the line and victoriously snag the last 24-pack of individual water bottles, if the situation lasts longer than expected, that paltry amount is not going to see you through it. Why not? Because on average, the expected rate of consumption is one gallon per person per day. That doesn’t include consumption for pets or what you’ll use for sanitation. If the situations persists for more than a couple of days, you’re going to need to bathe, clean, and wash dishes. Not only that, but you’ll have to figure out a safe way to dispose of human waste. The water that you store for your family should be enough to see all members of the household through a two-week period without running water. This is the bare minimum supply you should have on hand. What If the Situation Persists for More Than a Few Days? Sometimes, even an abundant stored water supply isn’t enough. In more dire situations, water supplies can be interrupted indefinitely. Do you remember the earthquake that devastated Haiti? That unexpected natural disaster took place in 2010, and some areas still do not have running water five years later. Five years. There’s no way a person could store enough water to last for that long, so the people affected have had to completely change their way of life. They’ve had to learn how to acquire water for their needs, how to purify it so it doesn’t make them sick, and how to conserve the limited amount they have available. Did you know that oftentimes, more people die in the aftermath of a disaster than in the disaster itself? And the number one cause of death? Contaminated water. If you are thirsty—truly, desperately thirsty—it’s human nature to drink whatever is available because your imminent demise from dehydration is more concerning to you than the pathogens in that dirty water you are gulping down. But drinking contaminated water can lead to a host of dreaded diseases like dysentery, hepatitis A, viral gastroenteritis, cholera, shigellosis, typhoid, diphtheria, and polio. Just one person handling personal waste improperly can contaminate the water supply for hundreds, even thousands, of other people downstream from them. You must store a substantial supply, but it isn’t enough to just store it. You must know how to acquire it in case your stores run out. You must know how to make it safe to drink. You must know what could be lurking in your water in order to combat it. You must know how to conserve the water, because you have to make the water you acquire last until you can get more. You must know enough about basic sanitation to keep you and your family safe and healthy. What’s more, a water supply and source aren’t only important during disasters. It’s vital to know about the things that could be lurking in your water even if it assumedly flows safely from your taps. Municipal water supplies and wells can contain things you’d rather not consume. Sometimes these contaminants are mild and only cause issues when consumed over a long period. Other times, the contaminants can make a susceptible person ill almost immediately. There is nothing you can store that is more valuable than water or the means to purify water. There is no greater preparedness measure that you can take than that of securing a safe, abundant source of water. Without this one vital element that makes up 50 to 70 percent of your body, you’re as good as dead. 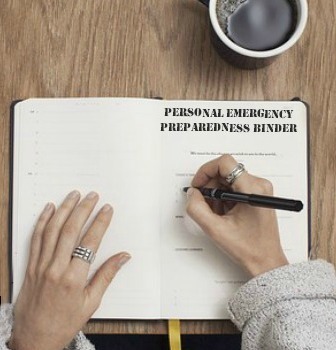 This could be the most important preparedness information you ever read. is a #1 new release on Amazon and is also available at Barnes and Noble.